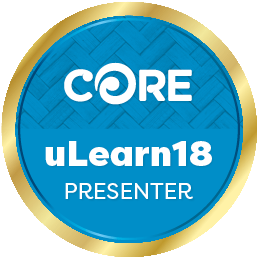 Presenting #storyhui at ULearn18 was a definite highlight for me professionally this year. Once our abstract was successful and registrations opened we watched our breakout fill up pretty fast! 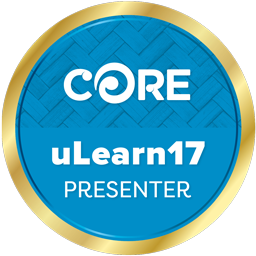 By the time ULearn came along we had 44 registered teachers attending our session. The day of our presentation seats were full and we had one or two even standing! 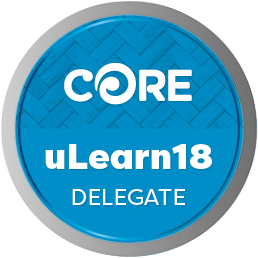 By the last day of ULearn18 we were both ready and looking forward to sharing this kaupapa that we are so passionate about. The value of #storyhui was resonated as we listened to the all the Keynote speakers at ULearn. Hana O’Regan confronted us with how we must disrupt the negative stereotypes of Maori which exist and build a positive cultural narrative to enable capability development. We need to be brave enough to hear the things we might not want to hear. We have seen how #storyhui helps to do this. We have watched children move from a place of negative self belief to a place of pride and confidence. THIS is emotional. #storyhui is an inclusive, culturally sustaining practice which empowers our kids through the fact that as teachers we have to listen for once – our learners hold the mana as they share their stories. #storyhui values and respects diverse ways of knowing, being, and learning. Our kids told us that participating in #storyhui was the first time they ever had to share a learning success of their own choice (whether it be big or small) without being interrupted. It was the first time they felt properly listened to and that the questioning had them thinking deeper about their success. They said it felt good that other students had actively listened and were interested to hear more about their success by asking them questions. Powerful. We listened as Pasi Sahlberg spoke about leading with small data. He reminded us about trusting ourselves, our colleagues, and our students when wondering about what works. It is the unique, human, small data that reveals the truth and insights. Strengthening a small data culture requires us to LEAD with small data. #storyhui IS small data (although I don’t really even like it called this). Personally, the information we get from #storyhui IS the most meaningful and valuable data. It gives us a student perspective about what strengths and shields our learners use as they are called to adventure, enter the unknown full of challenges and temptations and overcome these to be transformed and emerge changed – to start all over again. #storyhui IS formative assessment of a learners’ capabilities. And the beauty of it is – THEY are telling the story for once. Their voice and perspective is what makes this the most honest and powerful way I have seen to find out the truths and insights of a learners’ success. The final Keynote speaker, Mike Walsh, spoke about the algorithmic age (most of this went over my head!). BUT then he reminded us that in this digital age we must sustain our humanity. That we can’t lose touch with what it means to be human. #storyhui IS about humanity. It takes age old practices of story-telling and listening and applies them to our modern need. It restores the condition for truly listening to each other. From a deep foundation of humanity, trust, and honesty comes the best most inclusive education. #storyhui is all of this. Our presentation was all about humanity – plenty of emotions throughout – what was truly lovely was having someone at the end of our presentation saying “thank you for sharing your story”. It was humbling to receive the feedback we got and we feel truly honoured to have worked alongside Liz (founder of #storyhui) and Ann from CORE Education on this incredible Teacher Led Innovation Fund Project. I am currently at a new school where I am beginning to plant the seeds, setting up an environment of trust and risk-taking, encouraging my learners to think about the successes they have throughout the day, and sharing ‘The Hero’s Journey’ to think about and discuss. Thanks Anne for your continual support. Sandra and I loved sharing this important kaupapa and we will continue to share it as much as we can.